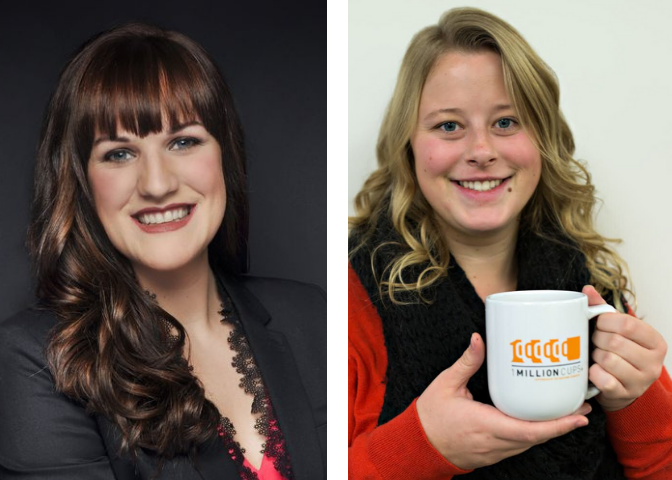 Congratulations to Margo, for her recent appointment to the University Economic Development Association (UEDA) board, and to Julia, a new member of the 1 Million Cups Anchorage organizing committee! Established in 1976, UEDA is North America’s membership organization that brings together public and private higher education; private sector; public agencies; and community economic development stakeholders in economic development. UEDA’s members work to expand economic opportunity and prosperity in our communities and regions by leveraging education / talent development; research and technology development; and community-building and place-making strategies. UEDA’s mission is to serve its members by advancing knowledge and practice in economic engagement by institutions of higher education. Based on the notion that entrepreneurs discover solutions and engage with their communities over a million cups of coffee, the Ewing Marion Kauffman Foundation developed 1 Million Cups in 2012—a free program designed to educate, engage and inspire entrepreneurs around the country. Through the power of volunteers, 1 Million Cups has grown to more than 180 communities, including Anchorage. Thank you both for working to strengthen our profession and improve our communities!